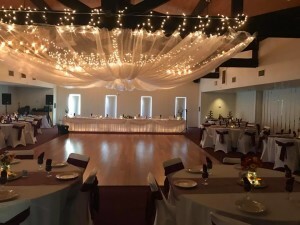 Thank you for considering The Elks Country Club for your banquet function. From an intimate affair for twenty-five to an elaborate reception for two hundred, we stand ready to meet your catering needs. We have two banquet rooms. 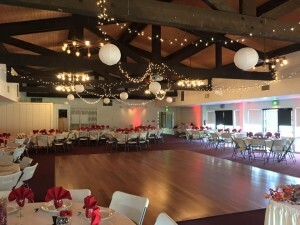 The Ballroom can accommodate up to 175 people. The fee for this room is $600.00. The Dining Room can each accommodate approximately 60 people. The fee for this room is $200.00. 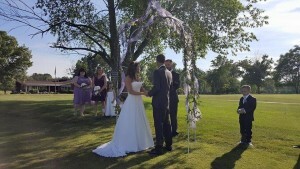 We also offer an outside ceremony on our driving range for a fee of $100.00. The fees are due in full at the time of booking your event. 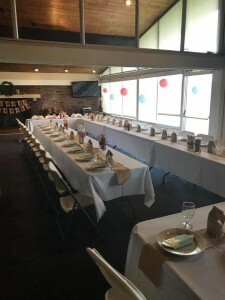 Food may be purchased through the elks catering service or can be catered in by one of our approved caterers. Outside catering will be charged 18% of final food cost. We offer two different food options, depending what your needs are. You may choose from a Hors d’oeuvre Buffet or a Dinner Buffet. Additional trays are available but only with purchase of the Hors d’oeuvre Buffet or the Dinner Buffet. In form of beverages we offer kegs of beer, bottles of wine and champagne for purchase. 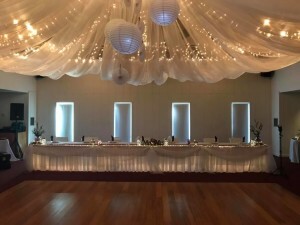 We also offer open or cash bar to fit your needs. The kegs are $160.00, bottles of wine are $10.00 per bottle and champagne is $10.50 per bottle. An 8% tax will be added to any food purchase. Staff fee’s for bartenders are $75.00 , Servers $100.00 and kitchen $40.00 per staff member. 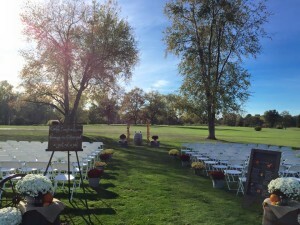 We require a Certificate of Liability Insurance for your event as well. We offer this through us for $150.00 or you can purchase this on your own. 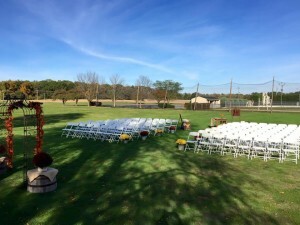 We hope you will consider us for your special event! Please contact Staci Filkovski for reservations, at (765)760-8312.